The Indian mainstream media was busy preparing lead stories, that were to be made for July 4th, the American Independence day. So was the entertainment industry occupied with planning for parties, events, campaigns, promotions, sales, and all that is ‘Page 3‘ for the same reason: Celebrating freedom! But, all that changed with a landmark judgment by the Delhi High Court… July 2nd 2009, will go down in the pages of Indian legal history. 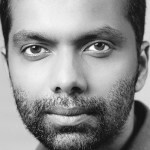 ‘July 2nd’ will mean much more to Indian sexual minorities than what ‘July 4th’ means to Indian media. 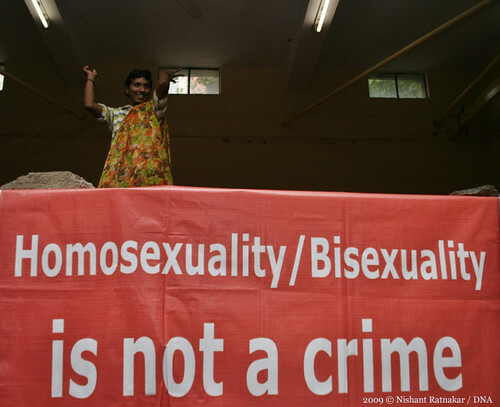 Provisions under the Section 377 of Indian Penal Code criminalized consensual homosexual acts of adults in private. The Delhi High Court struck down this controversial section saying it violated the fundamental rights of life, liberty and equality. 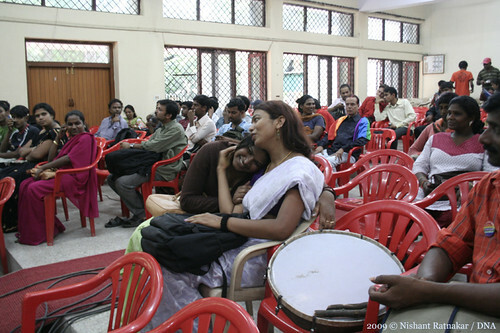 Gay rights activists, lawyers and the sexual minority community across Indian sub-continent held celebrations to mark this occasion. 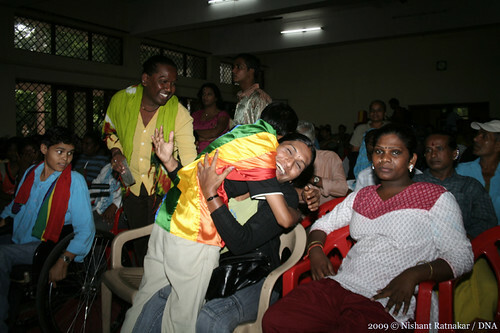 In Bangalore, the celebrations were held at United Theological College. Here, I share with you all, the moments from that event I was witness to. A piece of history I must say. By the way, to all my American friends… Happy Independence day:-). To all the partying crowd in my city, enjoy the Indian cocktails on Saturday night;-). 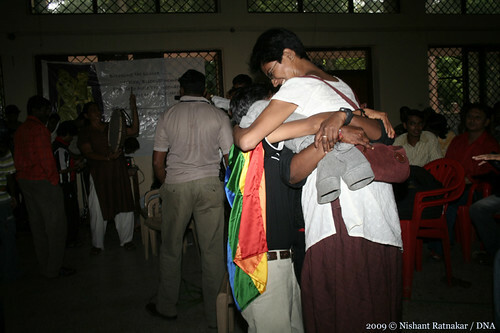 But, do spare a thought for the sexual minority community who have been fighting a long battle for equality. P:S For rest of the other photographs, please visit the set on Flickr by clicking on this link. This entry was posted in and tagged assignment, bisexual, gay, GLBT, indian, International, Karnataka, law, legal, lesbian, section 377. Witnessing a history made being celebrated, pretty cool! not many get a chance to see things getting changed in real time, good job!